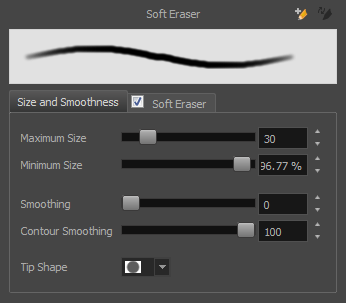 You can erase vector textures lines with a smooth eraser edge. In the Tools toolbar, select the Eraser tool, press Alt + E.
In the Tool Properties view, click the arrow button. The Eraser Properties window opens. 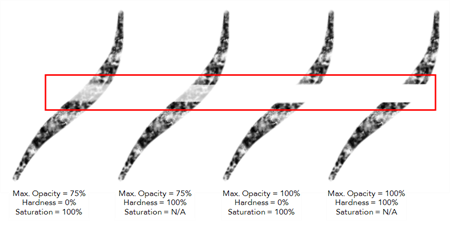 In the Camera view, erase your textures lines.